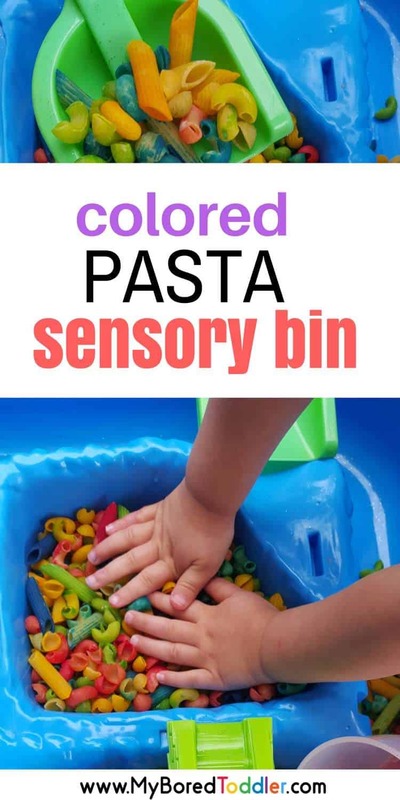 Today we will be making a colored pasta sensory bin – this is one that toddlers and preschoolers always love and the best part is that the pasta will last for months if stored correctly. 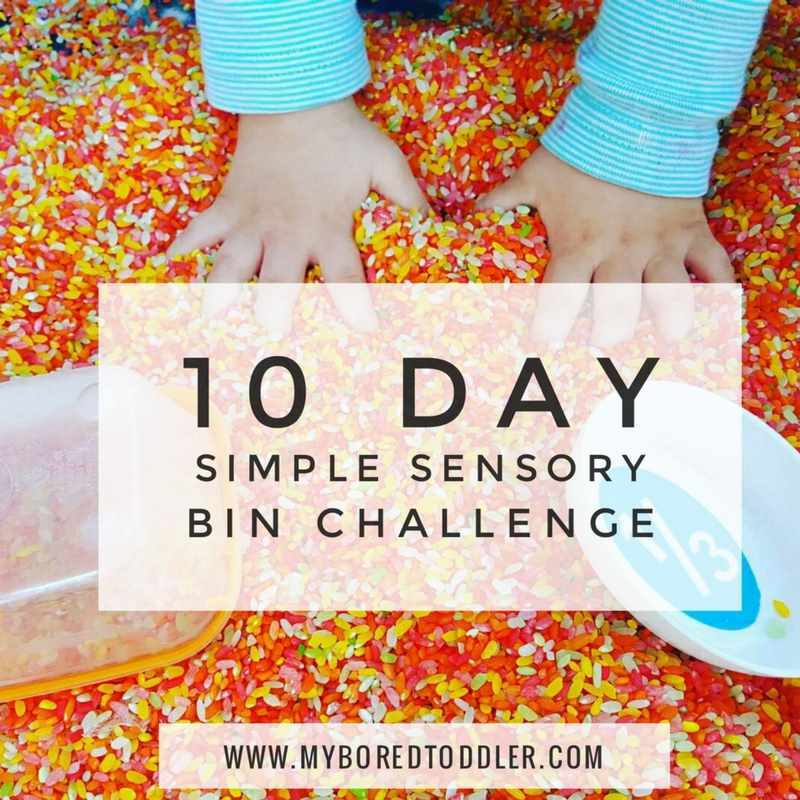 Day 3 of our Simple Sensory Bin Challenge was lots of fun and It’s great to see so many of you sharing your photos in our Facebook Group and on Instagram (use the hashtag #sensorybinchallenge ). 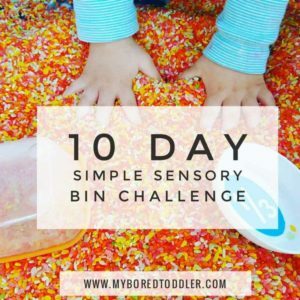 I hope that you’re all starting to see that simple is just as fun for toddlers and that you don’t have to plan ‘pinterest worthy’ activities for your children to enjoy them. We’re onto Day 4 already and I can’t wait to get started! If you missed day 3 of the challenge you can catch up HERE. If you haven’t signed up to the challenge yet, don’t worry! You can still join in HERE and you’ll get to start from the beginning of the challenge. The challenge is designed to start anytime so you’ll get your first email soon after you sign up! 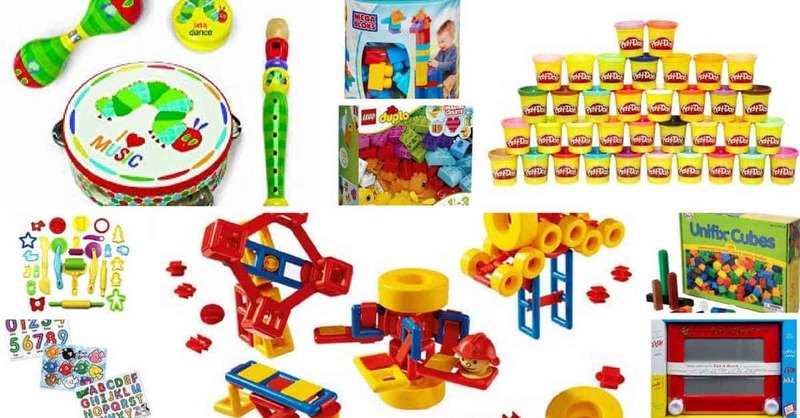 Today we’re going to play with pasta. Colored pasta in fact. Coloring pasta is such a worthwhile investment. It doesn’t take long and if you store it in an airtight container in a dry spot it will last a really long time. I ended up giving my last batch to my daughter’s Kindy after about a year so that we could make some new colors! 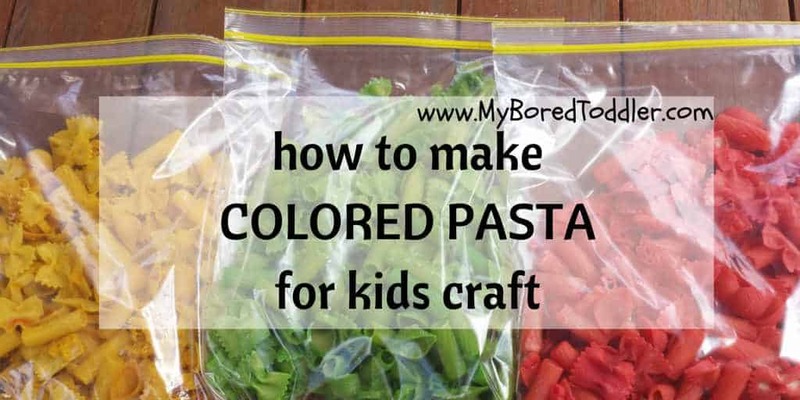 If you don’t have time, or don’t want to color the pasta that’s fine too. Plain pasta will work well too. To color the pasta, you will find all of the directions HERE. Once you’ve made your pasta, simply put it in your table and let them play. As well as adding your scoops and cups you could put in some colored bowls and encourage color sorting. You could sort the pasta by type as well. 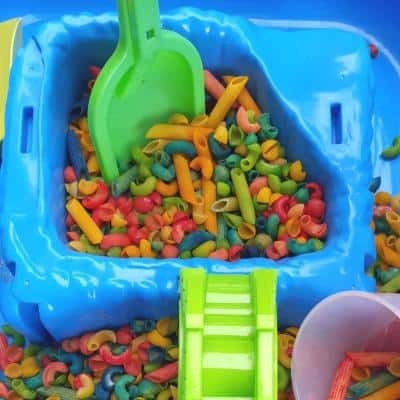 They always love playing in the colored pasta sensory bin! 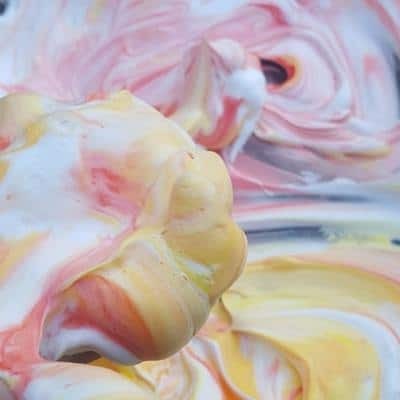 For tomorrow’s challenge we will be using shaving cream for lots of messy fun! 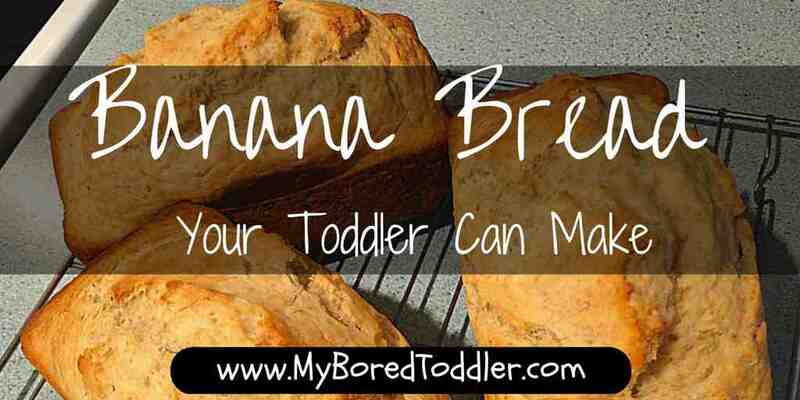 If you prefer you can use whipped cream instead (better for those who like to put everything in their mouth!). 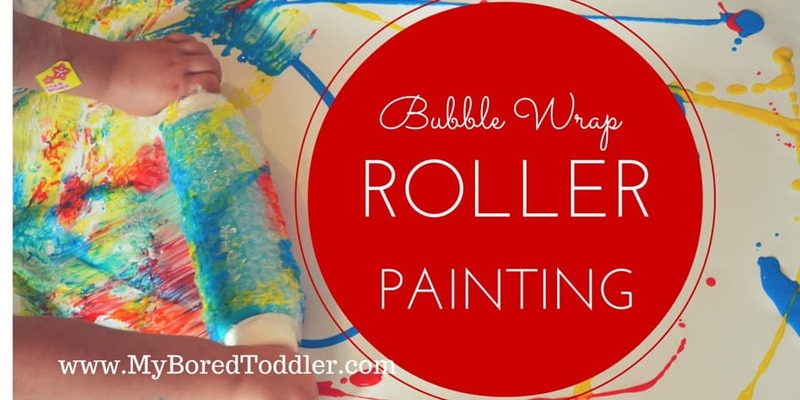 You’ll also need food coloring. If you missed out on yesterday’s challenge you can catch up HERE or if you can’t wait and want to skip ahead to tomorrow’s task then you can find all of those details HERE.